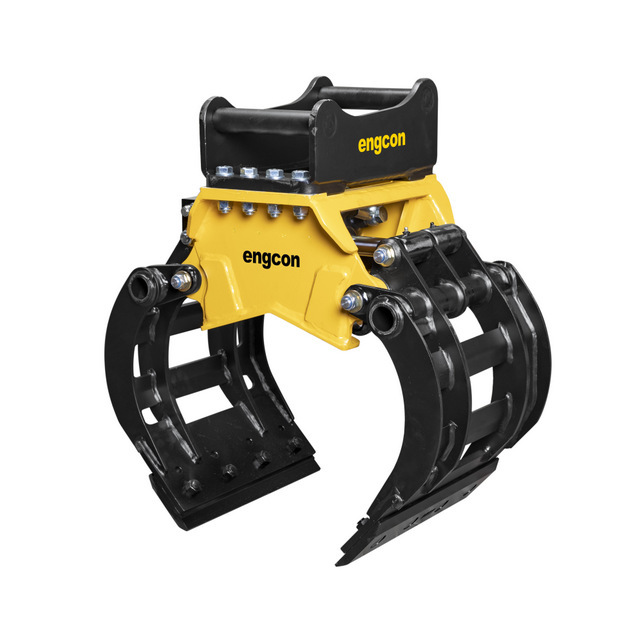 Engcon recently announced the launch of a new accessory, its SK02 mini sorting grab. Engcon is the world’s leading manufacturer of tiltrotators — a kind of tilting and rotating quick coupler for excavators. The new device weighs 109 kg or 240 lbs, making it particularly suited for small excavators in the 1.5-3 metric tons (under 6,600 lbs). It is available for order immediately in North America. SK02 has a width of 400 mm (15.7 in) and a maximum grab strength of 5.7 kN (281 lb/force). For more info on Engcon, click this link. Hurry! Before it’s too late!